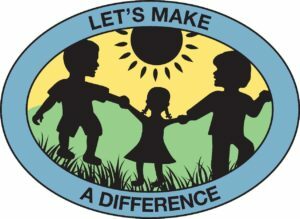 By giving to Let’s Make a Difference, you can make a huge difference in the lives of Medina’s underprivileged children. Our program relies solely on volunteer services and contributions to operate successfully. And because the program has grown significantly, we need additional volunteers and funds in order to continue. Let’s Make a Difference relies on our volunteers to keep our programs going. You don’t have to have educational experience, just a love for learning and for helping children develop self-esteem and self-respect. If you are interested in donating your time, contact us to learn about the opportunities currently available. In the past years, businesses and individuals have donated enough to provide snack foods and supplies for the entire summer program. They have contributed movie tickets and gift certificates allowing us to award contest prizes and many positive reinforcements to our children. Whether it’s monetary or materials, every bit helps. Our programs help empower local kids to cultivate a love of learning, become good stewards of the community and build a positive outlook on life rooted in self-esteem and self-respect.